In order to graduate, in addition to meeting program of study requirements students will need to pass the Human Service Department's comprehensive exam. Students in the CMHC program may submit NCE Ohio licensure examination scores, to both the graduate school and the department of Human Services' administrative specialist, in place of taking the department's comprehensive written examination. Applications packets are available in 108 Allyn Hall. Register during first four weeks of the semester with program area secretary in 108 Allyn Hall (during first two weeks for summer semester). Registration and pre-requisites will be verified by departmental graduate assistant. Letters will only be sent to students not meeting pre-requisites. ** A petition/appeal process exists for those not meeting the requirements as stated. Students with special needs are encouraged to contact the department for consideration of special arrangements. Students begin the process for graduation AT LEAST the term BEFORE they are to graduate. 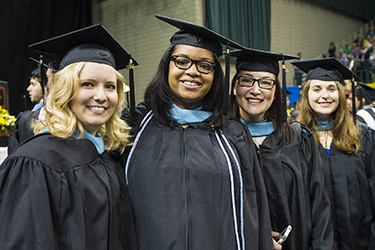 The application to graduate is available on the Graduation page in the Graduate School website or in person at Wright State University, E344 Student Union, (937) 775 2976.